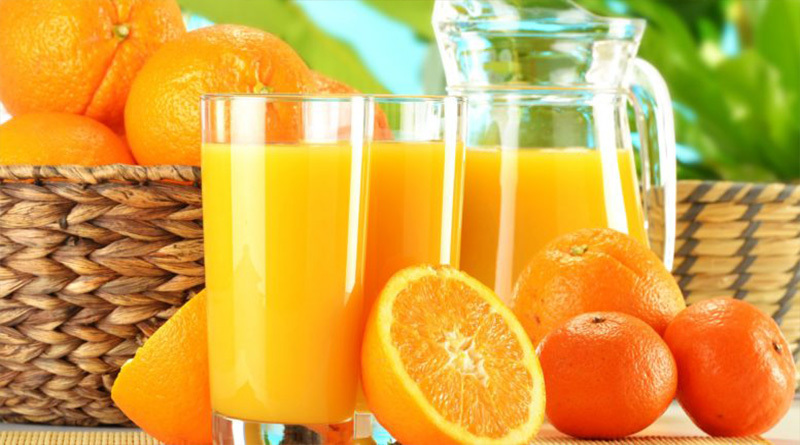 Orange juice properties are ideal for our health because they are high in vitamin C and flavonoids. During the autumn and winter is very common to increase the consumption of oranges, not only because it addressed a seasonal fruit that can be found mainly in supermarkets and markets from September or October, but because it increases consumption of natural juice for its high content of vitamin C.
In fact, only need to pay attention to what the benefits of orange juice for realizing the reasons for this delicious natural drink is consumed during the colder seasons. 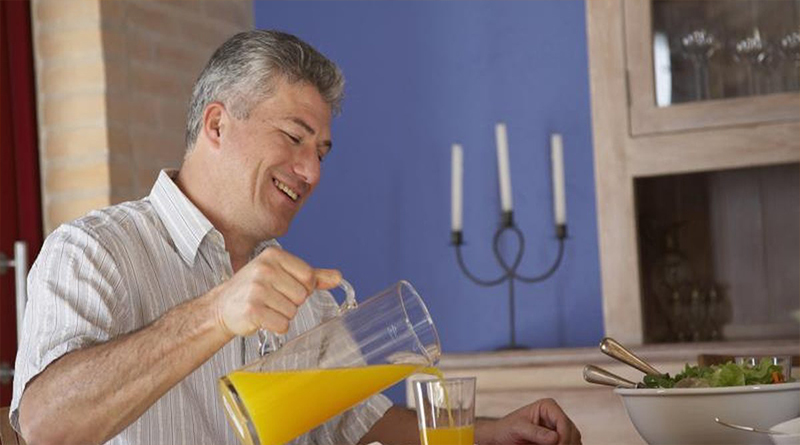 And they are related to a widespread popular belief, stating that the orange juice helps prevent colds and flu. Vitamin C itself does not prevent or cure, but it helps reinforce the immune system and increase defenses, which in turn results in reduced risk of suffering. That is, orange juice does help the healing process of our body when we are cold. Given its main properties both nutritional and medicinal virtues, it is clear that taking an orange juice every day is interesting when our health care. And we explain why it is so good. Based on the maxim that actually orange juice (especially vitamin C), does not help prevent or cure flu or colds when we are sick, we do need to keep in mind that it is useful to strengthen our immune system and increase our defenses naturally. This means that, thanks to orange juice is rich in vitamin C, what does help is to strengthen our immune system. When we are colds, helps in the recovery process of our body (but did not cure, as previously thought so far). Whether you have high cholesterol or not, regularly take an orange juice a day is useful for controlling fat levels in the blood, according to the results of a recently published in the journal Nutrition Research. And it is that a regular intake of orange juice helps reduce LDL cholesterol levels while increasing HDL cholesterol levels, thanks to flavonoids content, thereby preventing the risk of cardiovascular disease. Besides being useful for controlling cholesterol levels in blood, if you also have high blood pressure orange juice is also a drink of your choice, since it is especially rich juice potassium, a nutrient that helps lower the blood pressure from the control of fluid balance and sodium. This quality also found in orange juice to act as a diuretic, so it causes the kidneys to remove more sodium and water, relaxing the walls of blood vessels. It is known that, from a nutritional standpoint, orange juice provides 60 kinds of flavonoids and a total of 170 phytochemicals. These two substances help reduce the negative effects of free radicals in our body. Therefore orange juice turn helps in preventing and fighting cancer, cardiovascular disease by improving circulation and reduces inflammation, and is also useful in case of osteoporosis and asthma.